Student blogger Hope Parker, MAIS ’20, describes the different opportunities to get involved with moot court, a law competition where students participate in international law court or arbitration simulations, at the Hopkins-Nanjing Center. At the Hopkins-Nanjing Center, many students join one of the moot court teams as an extracurricular activity. Moot court is an international law competition where students participate in preparing and arguing case simulations in front of judges. Each moot court competition has at least two major events during the year: the memorials deadline and the oral competition. Memorials are written arguments that must be submitted to the judges prior to the oral round. The memorials lay out legal arguments that become the basis for the oral round, which gives moot court members serving as oralists a chance to focus on their public speaking and oral arguments. During the oral rounds, teams compete against each other by making their arguments to judges who ask each oralist questions. Law schools frequently have moot court teams to help prepare students who are interested in litigation. Although the Hopkins-Nanjing Center is not a law school, it also gives students a chance to learn about international law through moot court and law coursework. At the Hopkins-Nanjing Center, there are four separate teams that compete, each focusing on different types of law and corresponding to four different moot court competitions, Red Cross International Humanitarian Law Moot Court, Vis International Commercial Arbitration Moot, Price Media Law Moot Court, and Jessup International Law Moot Court. 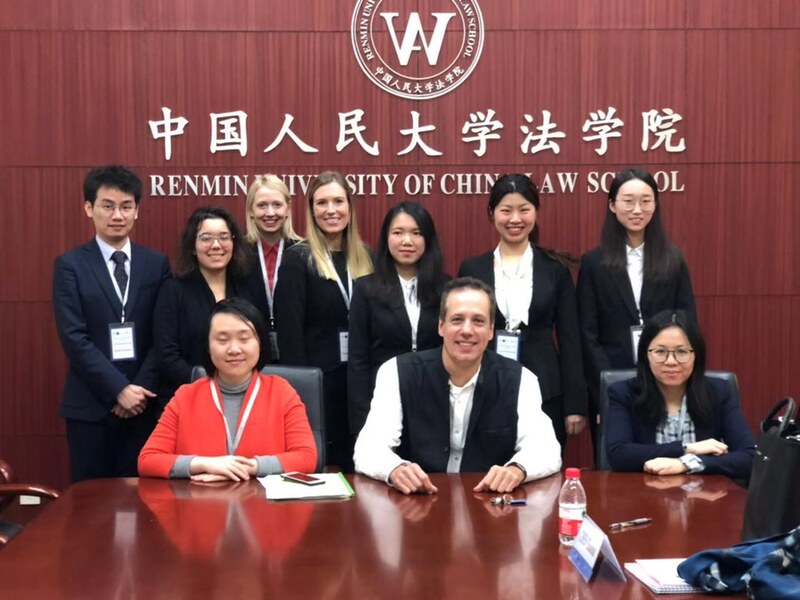 Although team members do not need to have prior legal studies, it is helpful to have a foundation in international law by taking a class in the law concentration at the Hopkins-Nanjing Center. As an international politics concentrator, I joined the Jessup team because learning more about international law will benefit my political studies. Joining a moot court team is a useful way to learn about law as a field you may be interested in pursuing after graduating or to complement your other interests. International Humanitarian Law Moot Court (IHL): The IHL team’s competition is the earliest in the fall semester, meaning students have to begin preparing very soon after arriving in Nanjing. Team members may also take the International Humanitarian Law course at the same time to help prepare for the competition. This year the IHL team did quite well in the China round and advanced to the competition in Hong Kong, where they competed against teams from around the Asia-Pacific region. Vis International Commercial Arbitration Moot (Vis): Unlike the other three teams, where team members make oral arguments to judges, in competition against another team, the Vis team participates in arbitration, giving teams an opportunity to learn about international commercial law. This year’s problem focused on an international dispute between horse-breeding companies. The team went to Beijing in October to participate in the arbitration. Price Media Law Moot Court Competition (Price): The Price Moot Court Competition focuses on human rights issues, with a particular concentration on freedom of expression. As people have increasingly used technology and online platforms for expression, joining the Price team can provide a way to learn about how the law governs these issues and how it may adapt to changing circumstances. The Price team also competed in Beijing during November.